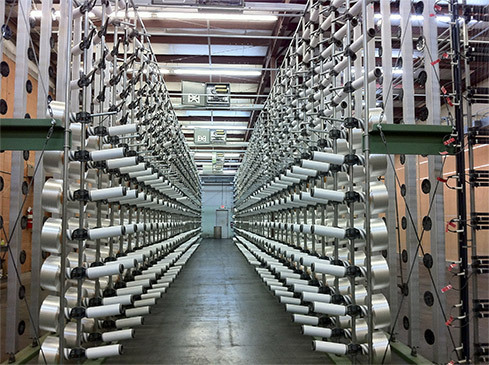 Transfer Creel | McCoy Machinery Company, Inc. Undoubtedly the most popular creel on the market, McCoy Transfer Creels have been an industry staple for decades. Built to the highest standards, these creels stand the test of time all the while being easy to operate and maintain. 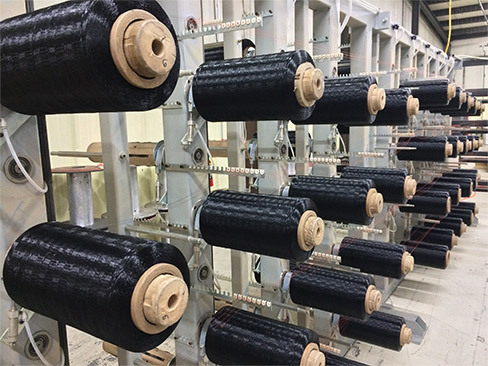 Each creel is expertly engineered based off customer requests and requirements, eliminating any guess work during or after installation. The Model 18 Gate creel is most often used in fiberglass warping, but is ideal for any block creeling application. The package gates have adapters on each side to hold a running package as well as a reserve package. Once the running packages are empty, the gates are rotated 180 degrees, fresh packages tied over, and the machine can be re-started. Reserve packages are loaded while the process is running, which significantly reduces down time. And, as always, these are specifically engineered to best suit customer needs. 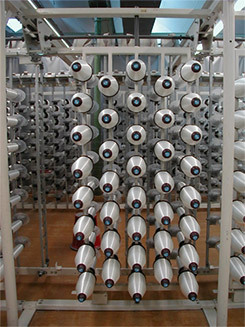 Certain applications and yarn/fiber require the package to be unrolled, rather than pulled over end. This is exactly why our Unrolling Creels were designed. They are application specific for weight and speed and can handle packages up to 450lbs (204kg) and speeds up to 1,000 yards per minute. In other words, this creel does it all and does it well.